At only 21 this is the sixth album from the vocal, trumpet at saxophone star from Barcelona. Influenced by Billie Holiday and Norah Jones in her very early days, she studied jazz under the watchful eye of Joan Chamorro at the Municipal School of Music in Sant Andreu, before being recruited by the bass man into his band of the same name while still a teenager. Such is her prowess both vocally and instrumentally that she confesses it has been difficult to decide which path to follow. For this, her first recording for the iconic Impulse label, she has decided to concentrate on her vocal performance with the occasional trumpet solo in addition for good measure. There are fourteen tracks on offer here in the one hour plus recording time, ranging from well known standards through to new material with lyrics by the leader. The band swings when needed, but always lightly, and provides appropriate backdrop to the ballads as required. On the opener, Billie Holiday's "He's Funny That Way" the arrangement is very similar to the original with Andrea's phrasing identical to Billie's and the piano of Ignasi Terraza mirroring the Teddy Wilson accompaniment from so many years ago. " Matilda" (sung in Spanish) and "If You Give Them More Than You Can" bring out the light but sure footed qualities from a maturing voice and both benefit from the reeds of the American saxophonist Joel Frahm whose presence adds vitality to proceedings. The title cut "Emotional Dance" with it's medium tempo Bossa Nova overtones and superb diction (not always shown by this vocalist, it must be said) is an album highlight. Tackling standards such as Cole Porter's "You'd Be So Nice To Come Home To" and "I Remember You" from the pen of Johnny Mercer the twenty one year old stays with a straight forward approach to the lyric where perhaps in future years she will be confident enough to stamp her own personality upon them. Eddie Jefferson's words to "Baby Girl" are used over a backdrop of the old thirties standard "These Foolish Things" by British composers Jack Strachey and Eric Maschwitz, stands out from most of the other performances on the disc with a more free wheeling approach to both words and music. Overall this release has lot's to commend it both from the vocal point of view and the almost "New Orleans" style of the leaders trumpet. 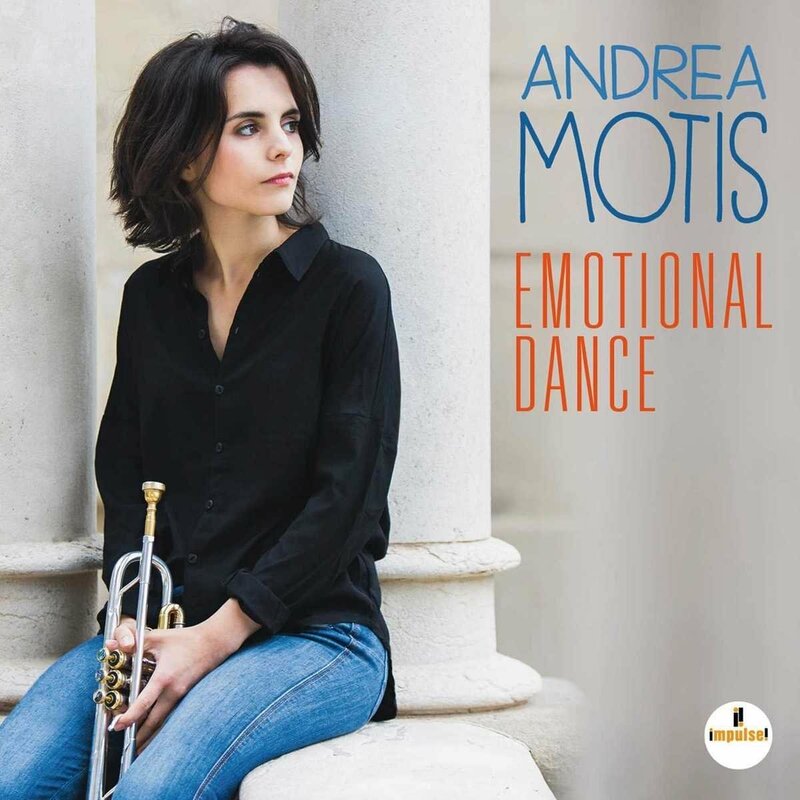 Perhaps Ms Motis , who is only one of a number of superb musicians to emerge from The Sant Andrea Jazz Band in recent years, has not quite stamped her full authority on the music as yet, although it is clear she is well on the road to doing so.